Join now! 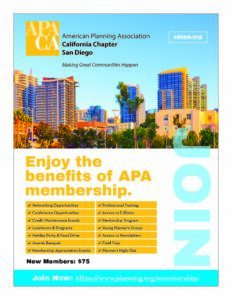 The San Diego Section of the American Planning Association (SDAPA) encourages you to become a member at the National (APA) or State Chapter-Only (APA California) level. Either way, you will be a member of the San Diego chapter. 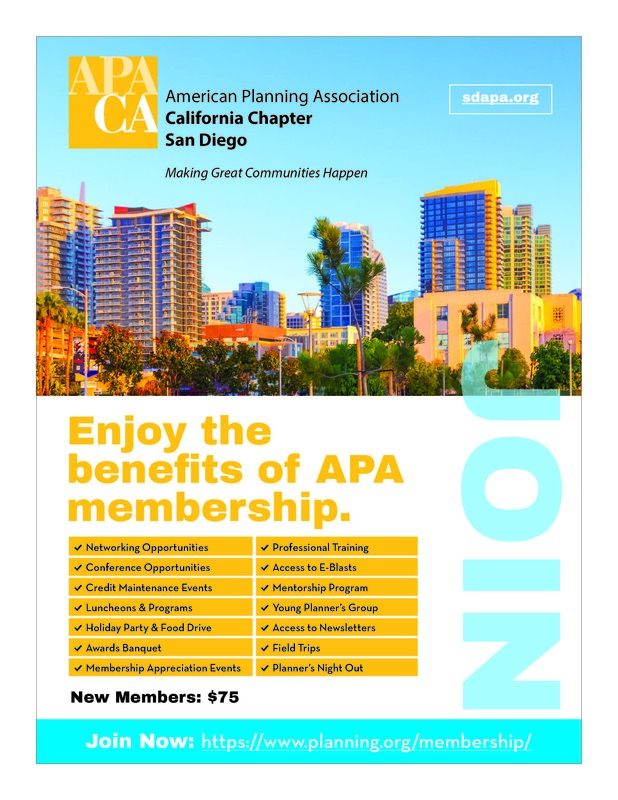 For more information, contact Stan Donn, AICP, SDAPA Membership Co-Director.